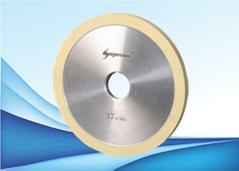 Diamond Bruting Wheel, Diamond Girdle Wheel,Diamond Polishing Powder. 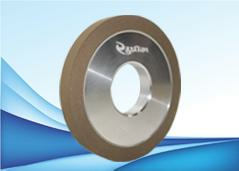 Diamond Bruting Wheel, Diamond Girdle Wheel, Diamond Polishing Powder and Lapping Paste are our main products. We have a wide variety of super-abrasives applicable in various industries. These products have been developed with extensive research over the years. 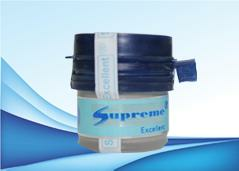 Here at Supreme, we believe in providing our customers with highly efficient and premium quality products. Our Vitrified Diamond Grinding Wheels/ Diamond Bruting Wheels and Resin Bond Diamond Girdle wheels have been proved the best in terms of performance and efficiency in Diamond Industry. With exceptional cutting rates, our Diamond Bruting Wheels provide a superior performance than the conventional Diamond Grinding and Bruting Wheels. We have Resin Bond Diamond Wheels for polishing the Girdle of smallest diamonds manufactured in the world. The thinnest girdles can be polished with extra fine luster and excellent mirror finish without any breakage with our Resin Bonded Diamond Girdle Wheel. A mojority of Surat's Diamond manufacturers use our Bruting Wheel. Supreme's Diamond Polishing and Diamond Running (Lapping) Compund is guaranteed to produce excellent facets in all kinds of rough diamond. 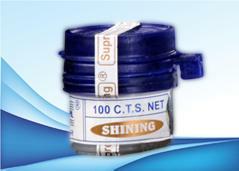 The Polishing Pastes is comfortable to use with all kinds of diamond scaives. The polishing paste is guaranteed to polish even the smallest facets of a diamond for a mirror finish and scratch free facet. The pastes and powders are especially developed for creating GIA's Triple-Ex Cuts and facets.